We all have our favorite Christmas movies, the cinematic comfort food we curl up with once a year. But no matter how heartwarming it is to see Ralphie open the package containing his Red Ryder BB gun, or George Bailey learn that he does deserve to keep on living, sometimes you need a change of pace. Here are six more offbeat features set on or around Christmas that aren't your typical good tidings, something to put a little spike in your holiday eggnog. A thoroughly twisted (and twisty) little Christmas slasher flick that starts out as one thing and ends as something much different and much darker. It begins with a nerdy 12-year-old kid and a slightly older babysitter being left home alone on a dark December night, and they're menaced by home invaders with no apparent motive. 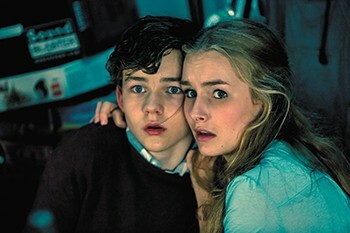 But all is not as it seems, and... well, the less you know about the plot's bloody surprises, the better. Streaming on Shudder. Bob Clark is now best known for helming A Christmas Story, but the late Canadian director had another lesser-known — but perhaps even more influential — Yuletide classic under his belt. (Weirdly enough, he's also responsible for the Porky's and Baby Geniuses franchises, but it's best to ignore those.) 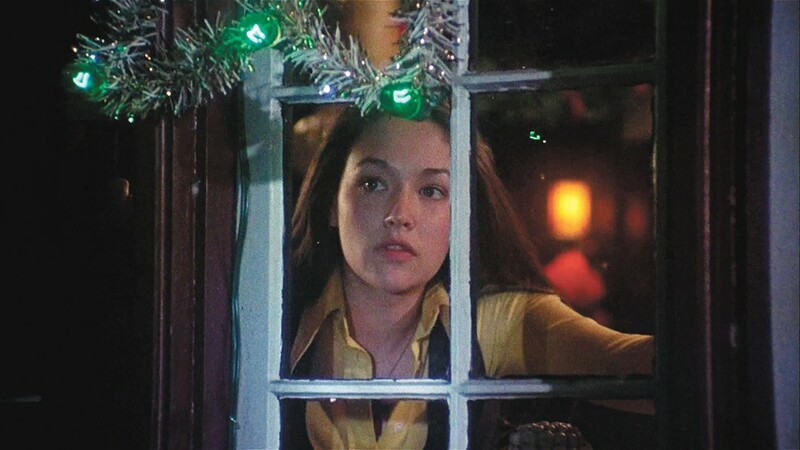 Black Christmas is considered one of the first ever slasher films, and its lean tale of a madman stalking a sorority no doubt inspired Halloween and Friday the 13th several years later. It's stylish and genuinely creepy, and boasts one of the most unsettling endings in horror history. Streaming on Shudder. Shane Black is known for setting his action movie scripts (Lethal Weapon, The Long Kiss Goodnight, The Nice Guys) at Christmastime, and any of them could take this spot. But I'm going with his directorial debut, an underrated bit of neo-noir. Robert Downey Jr. stars as a thief who stumbles into an acting role, and after getting paired with a gay detective (Val Kilmer in a scene-stealing performance) for research purposes, he finds himself at the center of a real mystery. It's overloaded with purple dialogue, a deliberately convoluted plot and a winking, self-aware attitude. Streaming on HBO Go. Truly one of the worst movies ever made, and one of the most blatantly lazy cash-ins imaginable, but that's precisely what makes it so entertaining. This is the sequel to a notorious 1984 killer Santa movie, and about a third of it simply consists of repurposed footage from its predecessor. But it's the new material (much of which isn't even Christmas-related) that makes Silent Night, Deadly Night 2 a cult classic. It involves the younger brother of the first film's red-suited psychopath, played with hilariously misjudged intensity by Eric Freeman, going on a rampage, and his axe and umbrella-wielding freakouts (including the now infamous "GARBAGE DAY!" sequence) are the stuff of bad cinema gold. Available for rent through Amazon and iTunes. I love a good '70s bank robbery movie, and this one is a terrific and generally underseen entry in the subgenre. Elliott Gould stars as a bank teller who uncovers the plans for a heist, and he decides to swoop in and steal the money away from the crook, who dresses as a shopping mall Santa. But the thief (Christopher Plummer, who's so menacing he really should have played more villains) soon gets wise, and what results is a crafty cat-and-mouse game, a tense thriller and a fascinating time capsule of the era. Available for rent through Amazon and iTunes. The original print version of this article was headlined "A Hallmark Christmas? Pass"